A senior counterintelligence official in Belgium’s external intelligence service is under house arrest on suspicion of sharing classified documents with Russian spies, according to a Belgian newspaper. Additionally, the chief of the agency’s counterintelligence directorate has been barred from his office while an internal investigation is underway on allegations that he illegally destroyed government documents. These allegations surfaced last Thursday in a leading article in De Morgen, a Flemish-language daily based in Brussels. Citing anonymous sources from the General Information and Security Service —Belgium’s military intelligence agency— the paper said that the arrestee has the equivalent rank of major in the General Intelligence and Security Service. Known as GISS, the agency operates as the Belgian equivalent of the United States Central Intelligence Agency or Britain’s Secret Intelligence Service —better known as MI6. GISS officers collect information abroad and are not permitted to operate within Belgium’s borders. The man, a career counterintelligence official, is suspected of having passed secrets to Russia with the help of a woman who claims to be Serbian, but who is in fact believed to be an operative for Russian intelligence. It is not known whether the compromised information included secrets involving the North Atlantic Treaty Organization, of which Belgium is a founding member. In the same article, De Morgen also said that Clement Vandenborre, who serves as chief of GISS’s counterintelligence directorate, has been barred from his office while an investigation is taking place into allegations of mismanagement. He is also accused of having shredded classified government documents without permission. It is not believed that this case is connected with the alleged Russian penetration. De Morgen quoted a spokesperson for Belgium’s Ministry of Defense, who confirmed that an investigation into alleged foreign espionage targeting a GISS employee was underway, but added that “no comment” would be made on the subject so as “not to hinder” the probe. Ironically, German newspaper Die Welt am Sonntag reported last week that the European Union’s diplomatic agency warned officials in Belgium to watch out for “hundreds of spies” from various foreign countries, including from Russia and China. The warning, issued by the European Union’s diplomatic agency, the European External Action Service (EEAS), said that “approximately 250 Chinese and 200 Russian spies” were operating in Brussels. The European Union’s diplomatic agency has warned officials who are active in Belgium to watch out for “hundreds of spies” from various foreign countries, according to a German news report. The report appeared last weekend in Germany’s Welt am Sonntag newspaper, which cited a report from the European External Action Service (EEAS). Based in Brussels, the EEAS operates as the European Union’s diplomatic agency and is headed by Federica Mogherini, an Italian former government minister who has been serving as the European Union’s High Representative for Foreign Affairs and Security Policy since 2014. According to Die Welt, the EEAS estimates that “approximately 250 Chinese and 200 Russian spies” are operating in Brussels. Most of these intelligence officers are allegedly embedded in their countries’ embassies, trade missions, cultural centers and other outreach facilities in the Belgian capital. 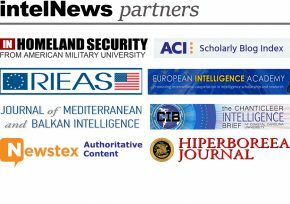 There are also many intelligence operatives from Western agencies, including those of the United States, as well as from Iran, Turkey and Morocco, among other foreign nations. The report in Die Welt adds that the EEAS advised European Union diplomats to avoid certain establishments in the European Quarter of Brussels, which are believed to be heavily frequented by international spies. Among them are “a popular steakhouse and café” that are “within walking distance of the Berlaymont building” —the headquarters of the European Commission. The same building houses the offices of the EEAS. Such warnings are not new. In June of last year, Peter Gridling, head of Austria’s main counterintelligence agency, said during a rare public appearance that Vienna —the spy capital of the world— no longer topped the list of preferred destinations for the world’s spies. He said that the Austrian capital had been overtaken by Brussels as the spy capital of Europe and added that, according to his agency’s calculations, there was a greater density of spies in Brussels than in any other European capital. When asked to specify the number of foreign intelligence operatives that are active in Vienna, Gridling said it was “in the neighborhood of hundreds of people, but certainly fewer than 1,000”. In 2012, Alain Winants, former Director of Belgium’s State Security Service (SV/SE), claimed that Brussels was home to more spies than any other city in the world. The head of Austria’s counterintelligence agency has said that Brussels has now replaced Vienna as Europe’s spy capital. For nearly a decade, this blog has published expert commentary that points to the Austrian capital being the world’s busiest spy den. In 2009, German broadsheet Die Welt explained that Vienna had “the highest density of [foreign intelligence] agents in the world”. The reasons for this are partly historic: during the Cold War, the center of Vienna was located less than an hour’s drive from the Iron Curtain, making it a central location for East-West spy intrigue. Additionally, Austria boasted then, and boasts today, an efficient transportation network that connects it to both Western and Eastern Europe. Furthermore, Vienna hosts the headquarters of several important international agencies, including the Organization of Petroleum Exporting Countries (OPEC), the International Atomic Energy Agency (IAEA), and the Organization for Security and Co-Operation in Europe (OSCE). This gives dozens of countries the opportunity to station in Vienna large numbers of diplomats, in addition to those who staff their embassies there. Consequently, it is estimated that the Austrian capital today hosts nearly 20,000 foreign diplomats, which is a substantial number for such a small country with a permanent population of less than 9 million. Experts believe that around half of these foreign diplomats are in fact connected to a foreign intelligence agency. But in a rare public appearance on Thursday, Peter Gridling, head of Austria’s main counterintelligence agency, said that Vienna no longer topped the list of preferred destinations for the world’s spies. Gridling heads the Vienna-based Federal Office for the Protection of the Constitution and Counterterrorism, known as BVT. He was speaking during the official presentation of the BVT’s annual Constitutional Protection Report for 2017, which was held at the headquarters of the Ministry of the Interior. Gridling told reporters that the number of foreign intelligence operatives pretending to be diplomats posted in the Austrian capital remained significant, and that Austria as a whole was still “a favored area of operations” by the world’s intelligence agencies. However, he added that Vienna had now been overtaken by the Belgian capital Brussels as the spy capital of Europe. Gridling said that, according to his agency’s calculations, there was now a greater density of spies in Brussels than in any other European capital. Gridling thus appears to concur with numerous intelligence experts and practitioners, among them Alain Winants, former Director of Belgium’s State Security Service (SV/SE), who have claimed since 2009 that Brussels is home to more spies than any other city in the world. When asked to specify the number of foreign intelligence operatives that are active in Vienna, Gridling said it was “in the neighborhood of hundreds of people, but certainly fewer than 1,000”. The Austrian counterintelligence chief declined calls to provide further elaboration on the mater. In the past year, the Islamic State has claimed responsibility for at least nine terrorist attacks on foreign capitals. The growing list, which features Jakarta, Tunis, Paris, Beirut, Ankara, and Kuwait City, now includes the Belgian capital, Brussels. At least 34 people died in the attacks that rocked Brussels’ Zaventum airport and Maelbeek metro station on March 22, while another 300 were injured, 60 of them critically. This week’s bombings officially constitute the bloodiest terrorist attacks in Belgium’s history, prompting the country’s government to declare three days of national mourning. Why did the Islamic State attack one of Europe’s smallest countries, with a population of just over 11 million? Some have suggested that Brussels was targeted by the terrorist group because it was an easy target. Observers noted that Belgium’s security and intelligence services are underfunded and demoralized —a “weak link in Europe”, in the words of one expert. There is no question that Belgium’s security apparatus is in need of serious overhaul; but the need is equally great in Amsterdam, in Athens, in Madrid, in Dublin, and elsewhere in Europe. In fact, the Islamic State could have struck any of these European capitals with the same ease that it attacked Brussels —and might still do so. In reality, the Islamic State’s decision to attack Brussels was carefully calculated and consistent with the group’s overall strategy. The primary reason that the Islamists attacked Brussels is that Belgium is one of 30 countries that actively participate in the Combined Joint Task Force, the international group behind Operation Inherent Resolve. Led by the United States military, the operation has been targeting Islamic State forces in Iraq and Syria since October 2014. The Islamic State wished to send a message to Europeans that their military intervention in the Middle East will be costly at home. Secondly, Brussels was struck because it is the headquarters of the European Union, which last month declared the Islamic State’s campaign against religious and ethnic minorities in Syria and Iraq as an act of genocide. Third, and perhaps most importantly, Belgium was targeted because a significant percentage of its population —as much as 7 percent by some estimates— is Muslim. What is more, the degree of integration of Belgian Muslims in mainstream life is markedly limited and partly explains why so many of them —400 by some estimates, the highest per-capita number in Europe—have emigrated to Syria and Iraq in order to join the Islamic State. It is worth remembering that the Islamic State emerged as the de facto guarantor or Sunni Muslims by essentially provoking Iraq’s Shiites to attack and marginalize the country’s Sunni Arab minority. Following a series of Shiite attacks against Sunni communities in Iraq, which were part of a broader post-2003 sectarian conflict between Sunnis and Shiites, the Islamic State emerged as the protector of Sunni Arabs and has since fought against Syrian Alawites, Hezbollah, Iranian forces, Iraqi Shiites, and others. Its popular support in Iraq and Syria stems from the fear held by Sunni Arabs that, if the Islamic State is defeated, their communities will be exterminated by vengeful and unforgiving Shiites. Having gained from sectarianism in the Middle East, the Islamic State is now implementing the same tactic in Europe. It is thus targeting countries like France and Belgium, which have significant Muslim populations, in order to provoke aggressive reactions against domestic Muslim communities. In other words, it expects that attacks like those in Belgium will favor extremist ideologies throughout the European continent, and in turn further-marginalize European Muslims. The rise of Islamophobia, the strengthening of extremist political parties, and the disintegration of European values such as acceptance and tolerance, are likely to create a new generation of disaffected European Muslim youth, many of whom will be prime candidates for Islamic State membership. European societies must not allow the Islamic State to change the political identity of an entire continent through violence. Along with meticulous police and intelligence work, the bombs in Brussels must be answered with concerted attempts to deepen the social integration of European Muslims, and more broadly to promote cohesion between ethnic and religious groups in Europe. Anything short of that will provide the Islamic State with the same strategic advantage it has enjoyed in the Middle East for nearly a decade. * Joseph Fitsanakis is Assistant Professor in the Intelligence and National Security Studies program at Coastal Carolina University in the United States. Belgian Intelligence Services ‘Overwhelmed and Outnumbered’. Tuesday’s deadly attacks on Brussels airport and a metro station, which left at least 30 people dead, demonstrate that the Belgian security forces are overwhelmed and outnumbered by the threat posed by radical Islamists, experts say. Belgium’s security services are not so much incompetent, say experts, as understaffed—that leaves them outnumbered by the high number of suspected radical Islamists, some home-grown and some who have traveled to Syria and back. Belgian intelligence service seen as weak link in Europe. Following the Paris attacks last November, it became apparent that the real intelligence failure had not been French but Belgian. Before those attacks one of the Belgian intelligence services, Surete de L’Etat, had only 600 personnel to keep tabs on 900 “persons of interest”, many of them potential jihadis who have travelled to Syria and Iraq. Apart from the lack of capacity, the Belgian intel services also lack the capability to deal with an internal ISIS threat. Belgium feared tragedy was coming but couldn’t stop it. Belgium feared tragedy was coming but couldn’t stop it. Belgium has been trying to fight a growing threat with a relatively small security apparatus. Although Brussels is the diplomatic capital of the world, Belgian state security has only about 600 employees (the exact figure is classified information). Its military counterpart, meanwhile, the Adiv, has a similar number. That makes just over a thousand intelligence officers to secure a country that hosts not just Nato and the EU institutions but countless other organisations.